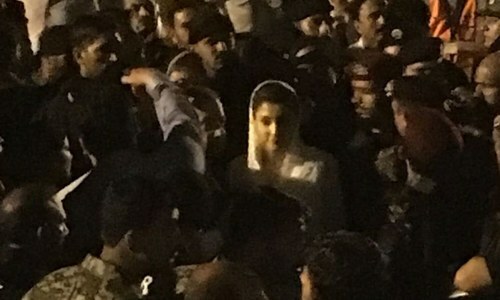 Police said 378 people were arrested in Lahore on Friday as the city braced for the arrival of ousted prime minister Nawaz Sharif and his daughter Maryam Nawaz, who have returned to Pakistan to face jail time and file an appeal against the Avenfield corruption reference verdict which sentenced the father-daughter duo to 10 years and seven years in prison respectively. 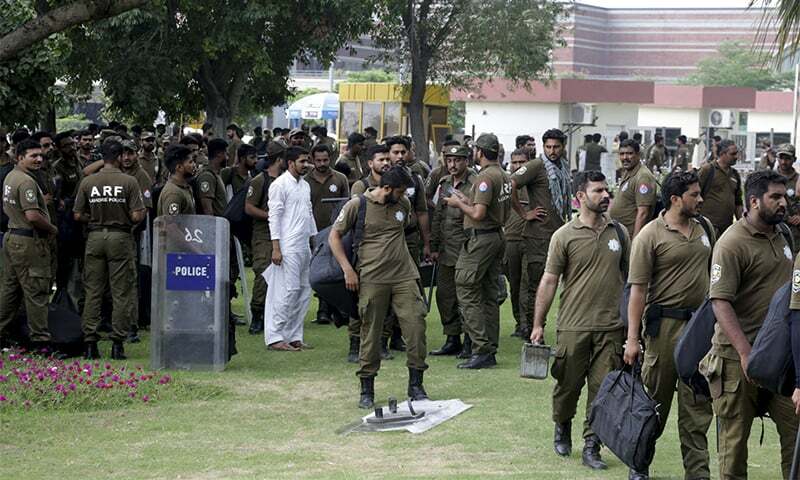 Even as PML-N workers, responding to their leaders' calls to show up and demonstrate their support for Nawaz and Maryam, started assembling near Lahore's Lohari Gate and Allama Iqbal International Airport, 141 people were arrested under Section 3 of the Maintenance of Public Order Ordinance 1960, whereas 237 have been arrested under the Elections Act 2017. No well-known political figure has been arrested. A number of the detainees are reportedly union council chairmen, vice chairmen and PML-N councillors. 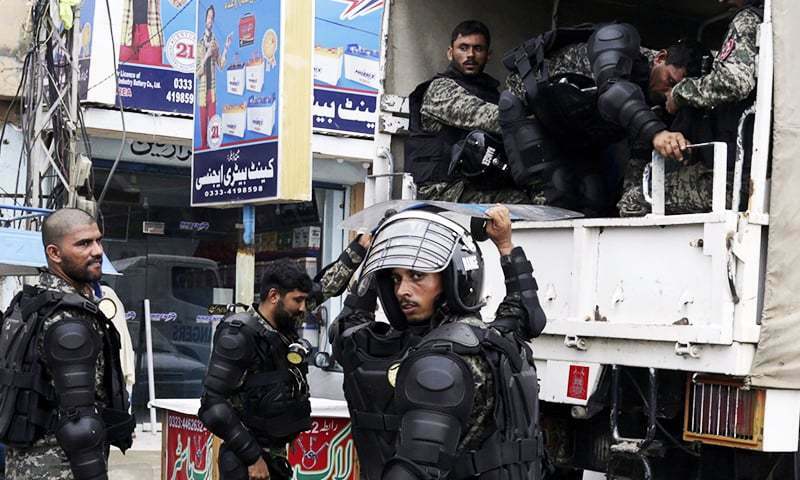 However, Punjab's caretaker ministers, accompanied by Home Minister Shaukat Javed, stated that none of the 124 people arrested in Lahore are political leaders or officials. According to IG Punjab Kaleem Imam, "the police will not be detaining the arrested party workers". "We have no intention of holding anyone in custody. Senior party leaders including Shahbaz Sharif had serious threats of potential terrorism against them," he said. The senior official said that in a meeting it had been decided that the workers would be taken into custody to maintain law and order. "Shahbaz Sharif is in constant touch with me," he added. 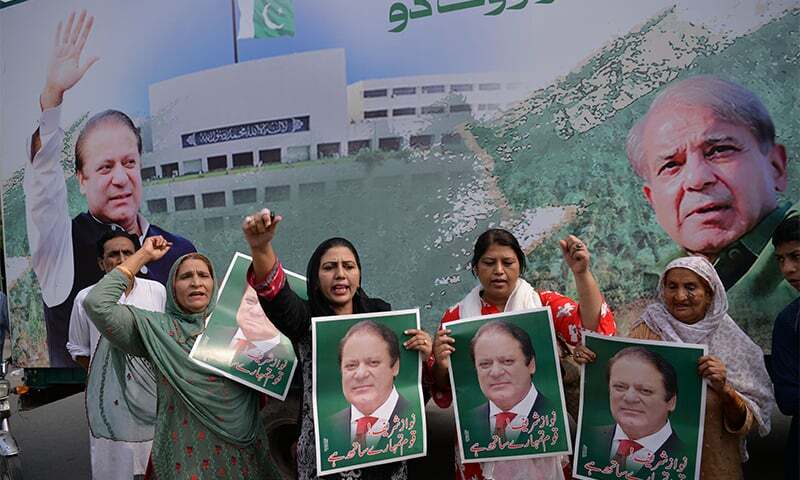 The Lahore High Court today ordered authorities to release all detained leaders and workers of the PML-N. During the hearing of a petition moved by a lawyer, the provincial police chief told the high court that 141 people had been taken into custody due to threats of terrorism. PML-N President Shahbaz Sharif's caravan reached Lohari Gate and onwards to Regal Chowk, as he led the main rally to the airport to accord his brother and PML-N supremo Nawaz a warm welcome. 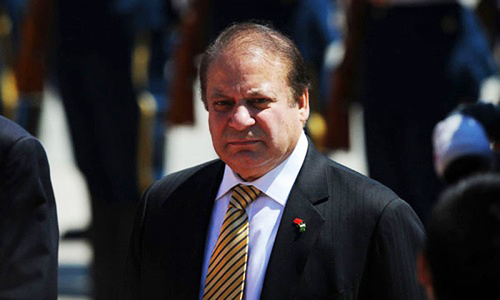 "PML-N will start its historic rally from the historic point of Muslim Mosque, Lohari Gate. A large number of PML-N workers and people will gather there and march toward the airport to receive their beloved leader," PML-N media coordinator Muhammad Mehdi had told Dawn on Thursday. He said the Lohari Gate was a central point of three constituencies — NA-124, NA-123 and NA-125. "In the political history of the city, rallies that began from the spot assumed historic value and this would also prove to be a historic one," he claimed. On-ground reports suggest that roads leading to the Motorway, Babu Sabu toll plaza, Raiwind, Ravi toll plaza and Thokar Niaz Baig have been blocked by the police. Heavy contingents of police have been deployed at all entry points to the city. A police official claimed that the arrangements were made to avoid any terrorism-related incidents. He added that no orders have been passed to arrest political workers or to block the motorway. During today's press conference, the caretaker ministers said that roads in the city had been blocked because of Jumma prayers and everything had returned to normalcy soon thereafter. "Containers will be placed to block roads only if the rally turns violent," Home Minister Javed had said, adding that cellphone services had been suspended because of the threat of a terrorist attack. "Threat alerts are being brought to the notice of political leaders and they are being asked to be careful about the routes they take," the home minister said. The caretaker government devised an alternate traffic plan on the eve of the arrival of Nawaz Sharif at Lahore airport on Friday. Traffic coming from Islamabad will enter Lahore via motorway through Thokar Niaz Beg, Qazilbash Chowk and Shaukat Khanum Chowk. Traffic from GT Road will enter the city via Kala Shah Kaku through Thokar. Traffic from Kala Khatai Road will enter via Shahdara Chowk, Begum Kot and Faizpur Interchange through motorway. Traffic from Multan Road will enter via Bund Road and Mohlanwal Road. To exit Lahore, use Maulana Shaukat Ali Road, Johar Town Main Boulevard, Shaukat Khanum, Qazilbash Chowk, Motorway Interchange or Multan Road. The international travellers have been asked to reach at least six hours prior to the departure time at designated areas in Lahore. They will be transported to airport via a shuttle service which will be provided from Bhatta Chowk, Chungi Dogaij, Gajjumata, Mehfooz Park and Niazi Shaheed Park. Police have arrested former MPA Jaffer Ali and NA-103 candidate Ali Gohar and nearly 50 other PML-N workers from Faisalabad. Faisalabad's Kamalpur Interchange, Sargodha Road, Deputy Wala interchange, Sahianwala Interchange, Aminpur Interchange and the Canal Road Expressway have all been blocked and there is no way for commuters to move in and out of the city. Containers are blocking off roads and police have been deployed at all exits from the city. Separately, law enforcement personnel have dispersed a PML-N protest demonstration and arrested around 35 PML-N workers in Sahiwal. District president PML-N Malik Nadeem Kamran and various local party leaders were baton-charged by the police at Supreme House near the Lahore-Sahiwal motorway. Former MPA Muhammad Tufail Jutt was also beaten up by the police. Sahiwal's PML-N leadership and election candidates reached Lahore after they managed to dodge the police, who had blocked roads surrounding the Sahiwal by-pass. The candidates that reached Lahore include Malik Nadeem Kamran, Pir Imran Shah Wali, Malik Arshad and Shah Muneer Azhar. All roads leading in and out of Sialkot have been blocked. Police and Rangers diverted Khawaja Asif's convoy out of Sialkot. On-ground reports suggest that the PML-N leader then took a route through rural areas to reach Lahore for the planned rally. DawnNewsTV reported that PML-N workers in Gujrat were baton-charged by police. 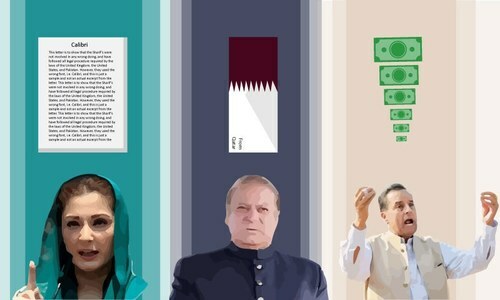 What are the ways the Sharifs could appeal the Avenfield verdict? Non criminal elements already released per media. This just proves NS is still hugely popular in Punjab.This crackdown on PMLN and panicky by the interim government is making the election controversial.IK is condemning the PMLN for the rally for half a day when PTI closed the country for months and later the judicial commission threw out the rigging allegation. Captain Safdar had two automatic rifles with him when he was arrested. The paramilitaries have their doubts but will do as they are ordered. The caretakers are taking care. NS and Maryam wanted to exploit the post conviction situation and create anarchy. Caretaker govt have little option than to take preventive measures. I would not be surprised if charged workers attacked and burnt down the airport like they attacked Supreme court. None of the leading anchors have addressed these concerns. When giving protest call, I wonder why NS didn't request his workers not to break the law and damage public property? Once a riot gets started it is too late to stop it. 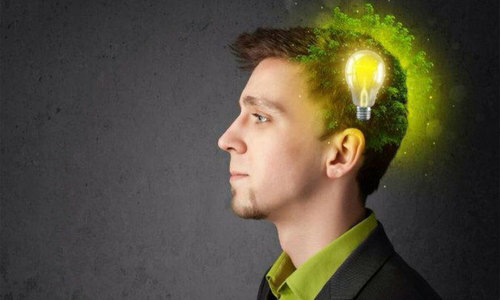 These are preventative steps. Bad things happen when people riot. Stores are looted and burned by the mob. There are not taking any chances. Lahore police is usually loyal to the Sharifs. on what basis have hundreds of people been arrested? I have no time for the sharifs but the attempt by the security services to silence dissent is unconstitutional. It will only end in failure. Both demanded that their followers should turn up in thousands when they landed at Lahore but from what I her a few hundred showed up. Maybe they know now that their party is history!!!! Anyone breaking the law puts themselves in the peril of of being taken up by the law enforcement agencies. Fair and simple. The caretaker government is its best to keep the law and order intact. I fully support their effort within the realm of the law. @Nomi Goraya ... They could not remain in Britain under any circumstances.